Spring has come to almost all shops, I got “start from spring” flavors of tablet candies. 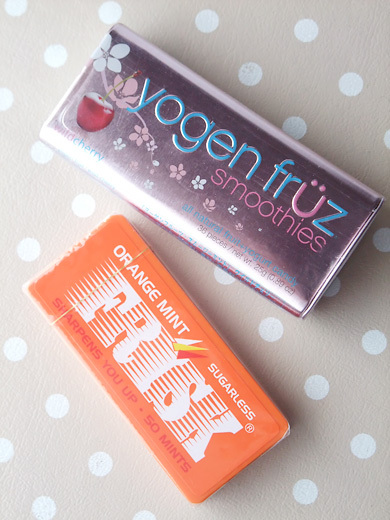 The pink one is Yogen fruz smoothie wild cherry flavor (limited package for PLAZA) and the other is latest orange mint flavor of FRISK. There’s another brands that does this ?